It’s no secret that here at The Hot Sheet, we’re driven to showcase the best of the indie shops. Local businesses are what separates one city from another – one business from another. The charm, unique personality, service and – let’s just face it – they’re more fun places to be. See, now your week was looking busier than you thought! To get your 20% off Golden Coupon, and to see a full list of participants, check out the Local First site. Happy outings! Just announced, Arizona Restaurant Week has firmed up the dates for 2010, and will be returning from September 18 – 26. (Wallets and palates rejoice!) This year will feature over 100 restaurants, each offering three-course meals for either $29 or $39 per person, of course not including drinks, tax and tip. A more comprehensive (and ever-growing) list can be accessed here. Some of the Phoenix area’s top chefs are already on the list and given previous years’ participation, we’re expecting a lot more to join soon. One notable highlight this year – restaurants will have the option to offer gluten-fee dishes, which will be noted on the Arizona Restaurant Week web site, so if gluten is not your friend, make sure to check the options first. Oh, and feel free to log your anticipation of the event on twitter, with the hashtag #ARW2010. Arizona wines have become recognized in the industry (even accepted by wine snobs) over the last few years, but everyone’s first question is – how do they fare compared to the best of California, Europe and elsewhere? So Pavle Milic, co-owner of FnB (with his wife and chef, Charleen), decided to host a private blind tasting of Arizona wines, not an unlikely move for a restaurant that only serves Arizona wines. But they didn’t skimp and they got the best of the best to taste, including Gary Vaynerchuk (host of web-sensation WineLibraryTV and NYT bestseller Crush It), Laura Williamson (one of only 108 Master Sommeliers in the world), Anne Rosenzweig (chef/food anthropologist from NYC), Tadeo Borchardt (winemaker from Neyers Vineyards in Napa) and local chefs Mark Tarbell and Chris Bianco (yes, of that Pizzeria Bianco). 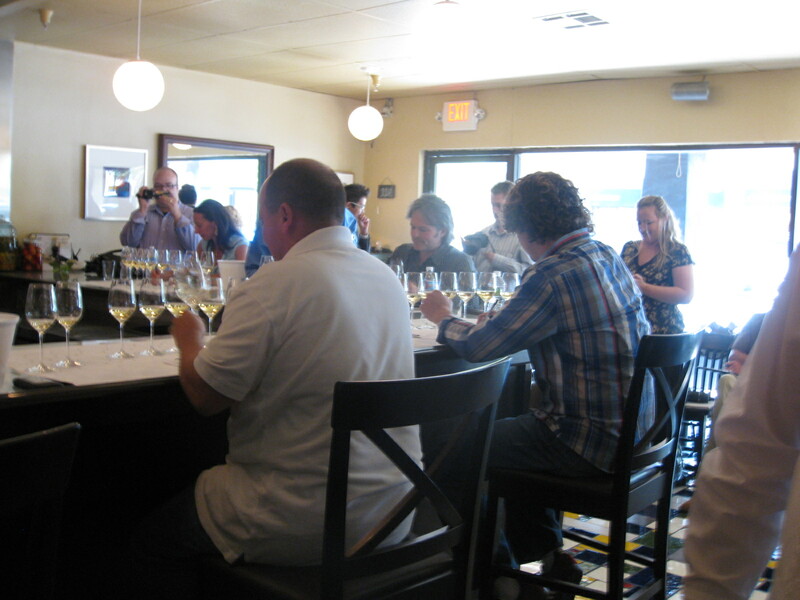 Ten whites and ten reds were tasted, five of each were from Arizona, the other five from around the globe, and after an intense waiting period while Sommelier Journal tabulated the scores, results were announced. And my friends, it tasted delicious. 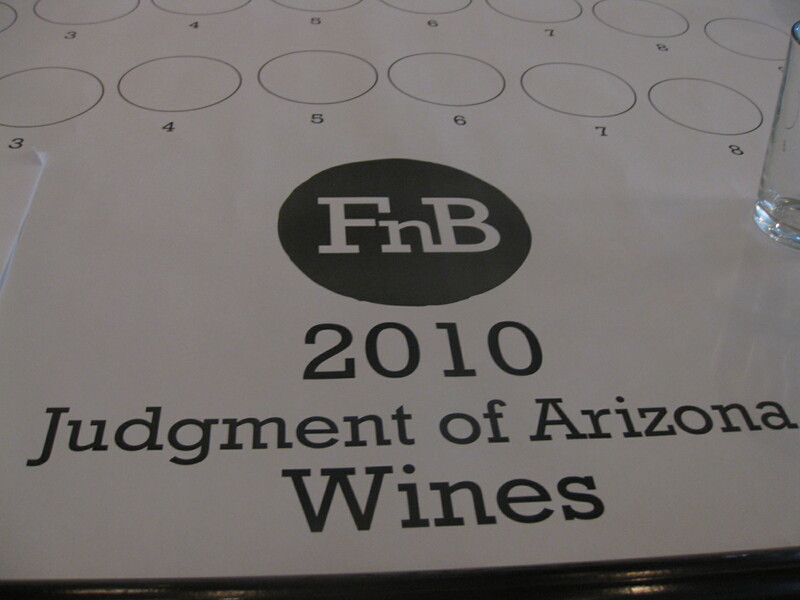 Arizona wines won the top ranking in both whites and reds, and just like the Judgment of Paris (have you ever seen the movie “Bottle Shock?”), gasps and cheers rang out from the audience. You’ve gotta do something special for your mom, sister, wife or friend this Mother’s Day, so how about some good conversation over a very good meal. But you don’t want to do something too typical, right? Right. So here are our top three-ish options for where to take her for something special. 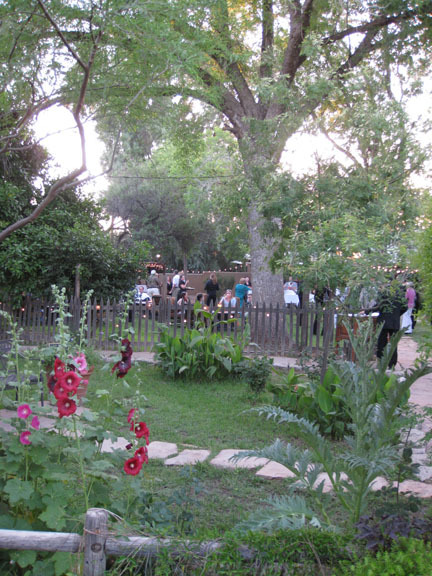 Quiessence is known for it’s literal farm-to-table meals, for it’s amazing Chef LaPrad and the very scenic beauty. Just driving up, you feel like you’re somewhere magical. Well, it gets better for Mom’s Day, because in addition to a very affordable $59 per person three-course dinner, you can also get your mama a massage and take family photos on the beautiful grounds. The food is amazing too; choices of Creamy French Onion Soup, Alaskan Halibut, Pan Seared Chicken – all local, all amazing. Seating times for dinner are 4-5pm or 6-7pm, with the massages and photos from 4:30-6:30, depending on your dinner time. Check out the menu and call 602-276-0601 for details and reservations. Let’s say your mom is kinda hip, a little funky, but classy all the way. Where should you take her? One word – Zuzu. You can sit in their retro dining room, or outside under the palms, to enjoy their food from the much beloved Chef Charles Wiley. The Thick Belgian Waffles with Sun-dried Cherry Butter is a sure winner, or the Stuffed French Toast made with brioche and filled with lemon cream cheese and berries. It’s all a la carte, and more standard breakfast options are available as well. Brunch runs from 6am – 3pm, but the special menu doesn’t start till 11am. Call 480.421.7997 for details or visit opentable.com. You really can’t go wrong with any of the resorts here, but hit Prado at the Montelucia, the J.W. Marriott Desert Ridge or the Fairmont Scottsdale for some elegant and special brunches. Frank & Albert’s at the Arizona Biltmore is a more casual but still very nice choice, and while it’s not really a resort, the Wrigley Mansion is super cool and sophisticated and will be very memorable, both from the food and the ambience. On a night not so long ago, we had a blazing fun time shooting Megan Finnerty’s Dream Night. You might know her as @122degrees on Twitter, but she’s better known as the nightlife editor at The Arizona Republic and one of Phoenix’s best gals for going out. For these videos, we really do let our hosts pick their favorite places, and Megan’s list was so much fun. I could go on, but I’ll let you watch for yourself. Tempe has the biggest NYE bash, all on Tempe Town Lake and through the streets around Mill Avenue. The Doobie Brothers are headlining this year’s events, but the full lineup starts playing at 5pm. There are also stages throughout the area with all sorts of entertainment. The parking is better the early you go, of course, so if you’re going to go, get there early. 5:00 p.m. – 12:30 a.m.
Minnesota and Iowa State will play to win the 21st Annual Insight Bowl on New Year’s Eve, Dec. 31 at 6 p.m. EST. It’s the perfect warm-up to the Fiesta Bowl, and will be broadcast on NFL Network in case you can’t make it to the game. If you go, stick around afterwards on the streets of Tempe for the Fiesta Bowl Block Party. 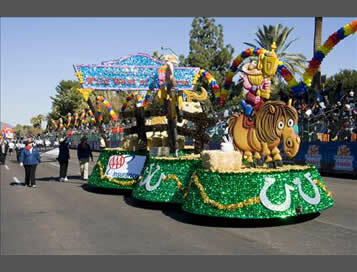 The Fort McDowell Fiesta Bowl Parade is one of the most anticipated events by Phoenix locals and the visiting fans. Tons of bands, vibrant floats, huge helium balloons, equestrian units and all the makings of an amazing parade. Spectators line the two-mile parade route in central Phoenix to see the parade, so get there early to get a good parking (and standing) spot, but it’s worth it. See more details and a parade map. Thousands of fans tailgate together for the “ultimate tailgating experience.” It’s like a huge pep-rally, with bands, cheer squads, games, and food booths. One of the longest Fiesta Bowl traditions, the Blue Cross Blue Shield of Arizona Fiesta Bowl National Band Championship presented by University of Phoenix, is one of the most prestigious high school marching band competitions in the USA. The country’s best bands each give a 10-minute show, for the judges as well as the crowd. The top bands from the preliminary competition are invited to compete for the coveted Grand Master’s Trophy in the event finals. See more details and which bands are competing.